The HSE is to build a new €25m Community Elderly Care Facility on a greenfield site in Ennis. 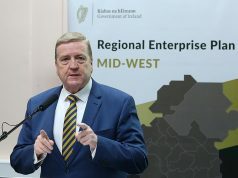 Clare’s Junior Minister Pat Breen, confirming the news, said: “I am delighted that the National Capital and Priority Steering Group of the HSE has agreed to the provision of 100 beds for care of the elderly on a green field site in Ennis, which will include 75 long stay and 25 short stay beds. This investment is estimated at circa €25 million. 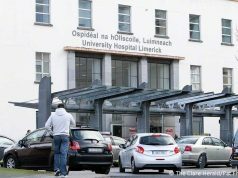 “A new submission was made to the HSE National Capital Steering Group, and today’s revised decision will see 100 elderly care beds move from St Josephs’s to the new site when it is constructed,” said the Clare Minster of State. 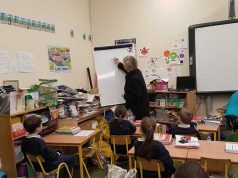 “In August 2017, my colleague Jim Daly, Minister of State with responsibility for Mental Health and Older People, visited St Joseph’s with me in the aftermath of the HIQA report. I wanted him to see first hand the issues facing the hospital, staff and the patients. I would like to thank him for his support on this matter, and pay tribute to the HSE management in the Mid West for pursuing the greenfield option. 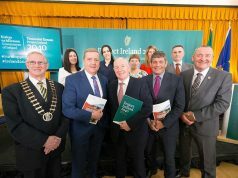 “This option of moving off site presents very significant and positive benefits for the environment standards of St. Joseph’s and indeed Health and Social Care in the County,” added Minister Breen. Clare Independent TD Dr Michael Harty has welcomed the news which he was described as a ‘unique opportunity’ to provide a home from home for the county’s older people. “When the designers and architect get to work on this project, I hope they will consult with older people and that their views are represented in the process. I believe that every long term facility for elder care should be deinstitutionalised as much as is humanly possible, it should allow people to live out their final years in a tranquil hassle free atmosphere but at the same time encourage residents to continue with hobbies and other creative activities. For example, the new St. Joseph’s should have a good garden,” he said. 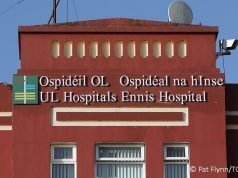 Dr. Harty said he also welcomed the HSE’s confirmation to locate the new 100 bed facility in the Ennis area which he said was the only feasible option given the centrality of Ennis in the county. “I believe we can look forward to a HIQA compliant complex with a mix of single and double occupancy ensuite rooms. It should also have appropriate day room and sitting room facilities. A new St. Joseph’s would be of huge benefit to the professional staff who frequently express their concerns to me on the inadequacies of the current facilities,” Dr. Harty added. He also said he noted that the construction of a new 100 bed unit and the retention of 32 beds at the existing site is still 8 beds short of the existing 142 beds. 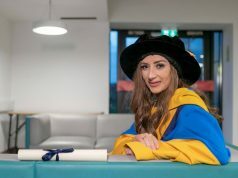 Because Clare’s population has risen significantly since St. Joseph’s was built and people are living much longer, Dr. Harty said he wondered if the HSE had taken sufficient note of demographic trends in the both the overall Clare population in general and the ageing population in particular. “We will only get one shot at this. What is done in the next few years will probably be with us for a few generations. It is crucial that the new building is of sufficient capacity to meet the needs of the county for the foreseeable future,” he said. 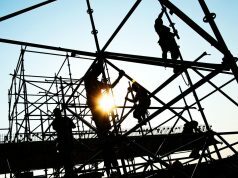 “I am somewhat sceptical that this project can be delivered by the end of 2021. There is a very tight schedule and the timeframe doesn’t allow for any setbacks along the way. Meanwhile the residents of St. Joseph’s and the staff who care for them will continue to do the best they can in cramped and generally unsatisfactory facilities,” Dr. Harty concluded.